Q: My tropical plant collection goes indoors for winter. I have over 100 plants now and all windowsill space is taken. 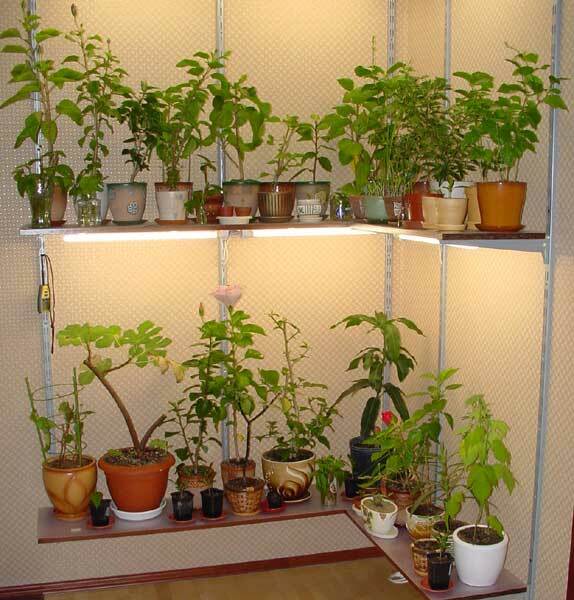 I am planning to build some shelves so I can also start some rare seeds indoors. Can you advise me on the choice of the grow lights so I can do it right? Check out our selection of tropical plants tolerant to low light conditions.